Red is always a great accent color. 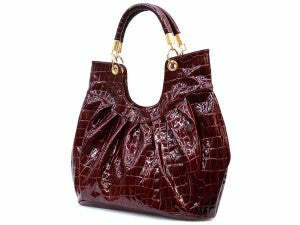 The deeper the red, the more sophisticated and chic it looks ; the bigger the bag, the better it shines in this color! Check out the luxurious but affordable large “Sasha” Hobo from Rue de Chic below….you definitely don’t want to miss out on this bag!